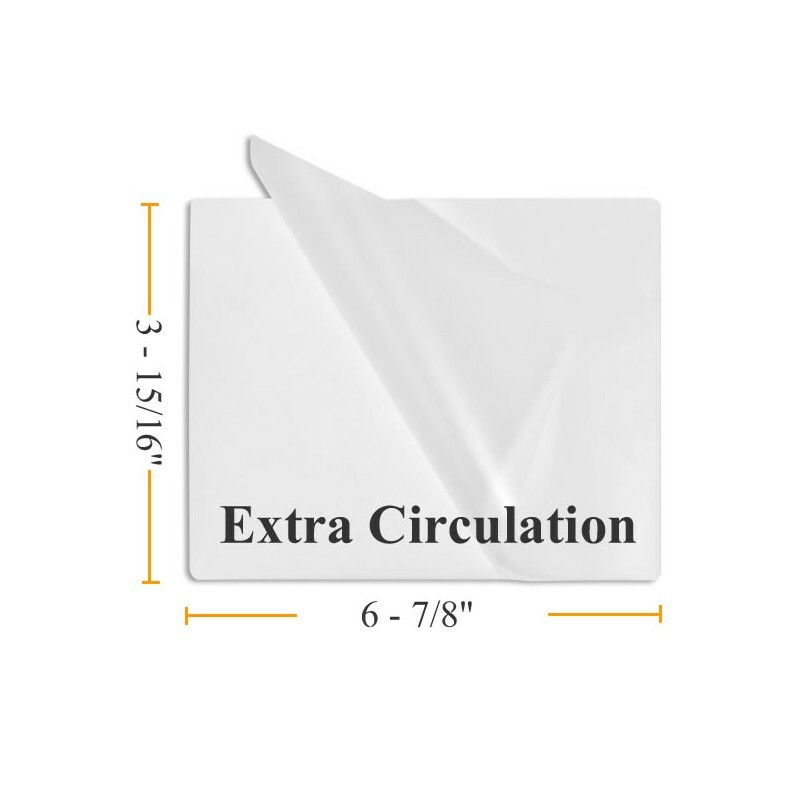 Pouch Measures 3 15/16" x 6 7/8"
Pouch Measures - 3 15/16" x 6 7/8"
Large Circulation size lamination pouches are used to protect larger cards from damage. Laminating Pouches are intended to be used in pouch laminating machine. 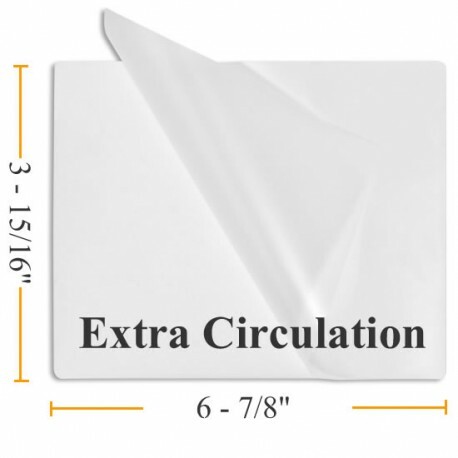 A laminating pouch is sealed on one edge for your convenience. The document or item is placed inside the laminating pouch and placed in the hot pouch laminating machine to seal. Our pouches are top quality and are comparable to GBC, IBICO, 3M and other brands available at large office retail stores. Pockets can be used in most thermal laminating machines. Check your laminator owern's manual first to be sure you are ordering pouches that fit your machine.